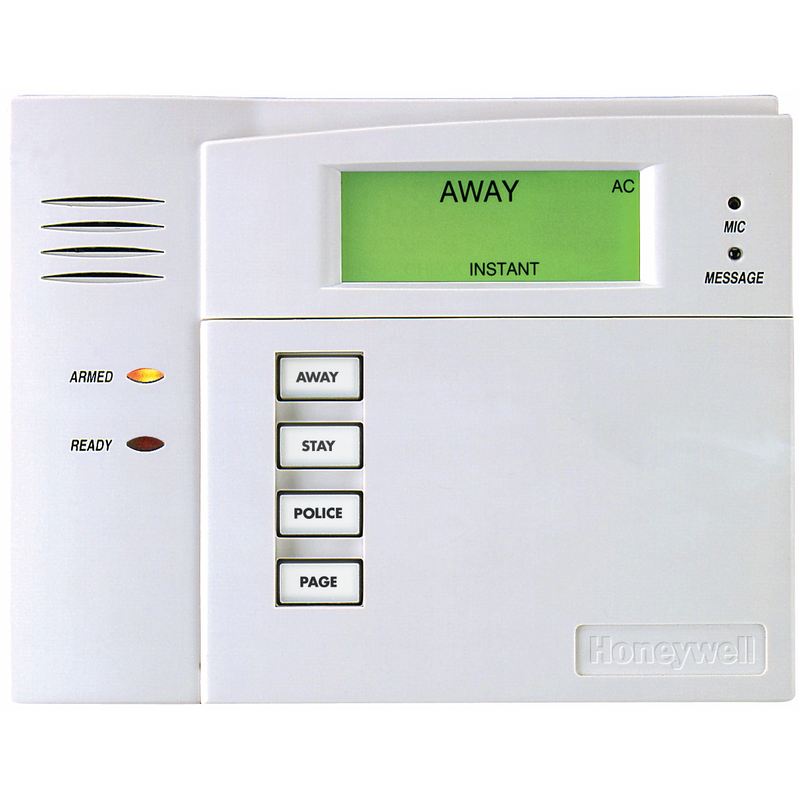 The Honeywell 5828 is a wireless bidirectional keypad that is a perfect add-on to any LYNX or residential VISTA compatible control panel. The 5828 wireless keypad saves DIYer's valuable time by offering the quickest, easiest installation of a secondary keypad, with no wires to run. It mounts anywhere; on walls, tabletops and counters and provides the flexibility and convenience of operating the system from anywhere in the home. This keypad provides full system functionality which allows you to install your control panel in a secure location away from your main entrance. Whenever can press the "Status" button on the keypad, it will display the current system status of your home security system. Also, if there is an open zone on your system when you attempt to arm it, the keypad will display the description of the faulty zone so that you can close the open door or window. For the most complete security system, we recommend installing the control panel in a secure, somewhat hidden location near an AC outlet and broadband internet connection, and also installing a 5828V or 5828 wireless keypad at every entrance to your home or business. This type of installation will greatly reduce any chance of a criminal defeating your security system. The 5828 operates on (3) AA batteries which last an average of 2 years. The keypad will go into "sleep" mode whenever it is inactive for an extended period. Simply touch any button on the keypad to wake it up. You also have the option of adding the desk mount with the AC adaptor using the dropdown above. The desk mount allows you to attractively display your keypad on a desk or nightstand. The adaptor allows you to plug in your keypad so that it is always on. Of course you must have an open AC plug near where you will install your 5828 for this "always on" feature.